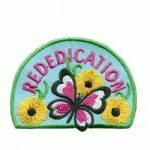 Light up the face of the recipients when you include a “Rededication” Patch from MakingFriends®.com as part of your Girl Scout* Rededication activities. 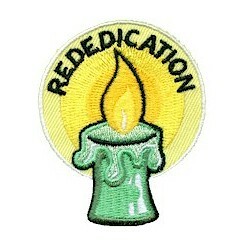 6 reviews for "Rededication Patch"
Great appropriate patch for our opening ceremony! !! 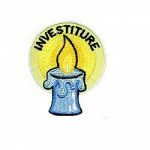 This was a very elegant patch and different from any other rededication patches we have. Love it. Great value and a Perfect Patch. It’s very colorful and depicts the Ceremony as it is. 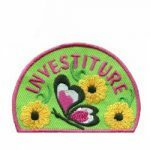 The patches are terrific, your selection is great and the prices are very reasonable. Shipping was quick as well! Thanks for the great service! It ironed on without a hitch and stayed on. The girls really liked them! I only wish it had gotten to me a bit faster, but I got the cheapest rate possible for shipping, so that’s on me. Make sure you order at least two weeks before you need them. Very nice quality, great price! No problems. We have used this site on several occasions-always a great experience.